Some say the Canadian identity is epitomized by our politeness, others by our habitual apologizing, and still others by our love of hockey. I disagree. To me, the Canadian identity is epitomized by our ability to be shocked and surprised by things that happen every single year. Take, for instance, our February deep freeze. Most of the country was encased in ice and snow. It was so cold that a person walking their dog could feel like one of Napoleon’s frost-bitten troops retreating from Moscow. During such attacks, those Canadians not relaxing on tropical beaches are subjected to a steady sadistic stream of Instagram posts by those who are – perhaps the most Canadian Instagram post is a picture of an idyllic beach captioned, “Sorry.” There’s nothing new here. It happens every year. And yet, when you look at the faces of those you pass on the street, you see dumbfounded misery and astonishment. And then there’s the driving. Midwinter means lane-shrinkage. Thanks to snow accumulation, two-lane streets become one-lane streets. One-way streets become no-way streets. The result is the automotive version of the February blahs, a situation that can bring out unseemly aspects of the human character. The cycle begins with nature. 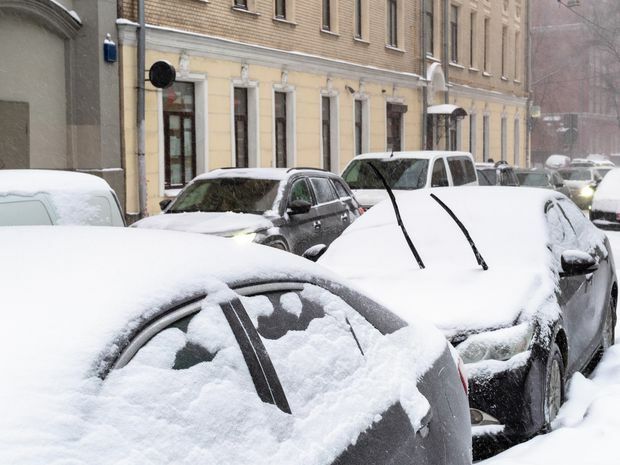 Snowstorms hit, depositing mountains of precipitation on towns and cities. Sometimes, these frosty furies result in snow days, in which kids get to stay home from school and parents scramble for childcare. Next comes the cleanup. Municipal plows clear the roadways (eventually) and throw up snow banks. Meanwhile, city dwellers clear their driveways and sidewalks. Those who live in the country take care of their property and argue about who should clear private roads. Finally, nature finishes things off – generally with a brief melt followed by another deep freeze – which leaves icy, rock-hard snowbanks and roads covered with sheer sheets of ice. Despite everyone’s best efforts, the snowbanks and ice take up road space. Parked cars occupy what is left. This creates the shrinkage. In urban neighbourhoods, each street presents a game of chicken. Where once two cars heading in different directions could pass by each other easily, they are left waiting. No one seems clear on the etiquette. Most drivers know that the first car to arrive at an intersection has the right of way, but when it comes to streets narrowed by snowbanks and parked cars, that logic doesn’t apply. I’ve sat and watched as seven cars passed by, waiting for my turn to go. Lane-shrinkage also sets nerves on edge. The risk of grazing a car as you pass by is an ever-present danger. This anxiety tends to affect drivers of nice cars. My Dodge Grand Caravan is an old and dent-ridden mess. If it were scratched, I wouldn’t be happy, but I wouldn’t be devastated. I doubt the same can be said for the driver of a brand-new Audi Q8. Finally, there are the sudden and infuriating snowbank-induced standstills. A garbage truck collecting trash can cause a block-long backup. A dude unloading a sofa from a cube van can keep drivers waiting an eternity. If you’re wondering how to deal with midwinter lane-shrinkage, there is an easy corollary. Just pretend you’re at the supermarket. Is there anything more chaotic and disorganized than a supermarket on a Saturday? Carts roll, pushed by absent-minded shoppers, and near-miss collisions are as common as snowflakes. And yet, you don’t see many folks screaming at each other. No one is cursing at anyone else in the neighbourhood because they have to wait a few moments before turning down the pasta aisle. It’s mostly smiles and cordial nods and almost as many “sorrys” as there are oranges in the produce section. So, next time you’re at the end of a road that used to be two lanes and is now maybe one-and-a-half, with a cube van at one end and a stream of cars coming the other way, just pretend you’re at the grocery store. You’ll be happier and the traffic will run smoother. And while you’re at it, you might as well pretend that spring is right around the corner. It’s not, but the illusion may sustain you. Anything’s better than accepting our wintry fate.